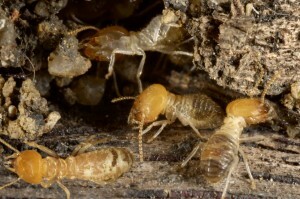 Crawl Spaces are their own ecosystem. They need just the right ventilation and air flow, a low level of moisture, and proper protection from insects, rodents, and animals. When too much moisture gets in, mold can get a foot hold and quickly take over. Insect and animal activity can also create damage that spreads in short time. When this happens it can amount to costly repairs to your home’s foundation, and even make its way into the interior of the house. Crawl space repair in Beaverton should always be done by a professional. The mold and animal debris can be kicked up into the air and get into you home’s air ways or be inhaled at the time of removal. This can be a serious health hazard. 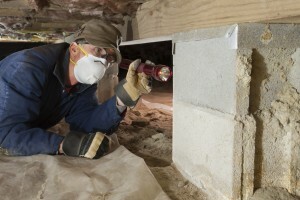 The Killers Crawl Space Restoration has many years of crawl space experience to safely clean and repair a crawl space. At The Killers Crawl Space Restoration we have been handling crawl space repair in Beaverton and surrounding areas for decades. We carefully and safely remove all damaged parts of your crawl space, from the vapor barrier to the insulation. We clean the space and prepare it for new, clean material. We ensure it is secured from future insects and animal infestations. Lastly, we measure the air flow, keeping the ventilation levels at their optimal point to discourage mold and mildew. When left too long without repair, a crawl space can begin to effect the air quality inside a home. Likewise, it can spread damage throughout the foundation of your home’s structure. Getting an annual crawl space inspection for your Beaverton home is a great way to keep your home safe, inside and out. Our crawl space repair in Beaverton includes major and minor damage repair. We are able to work on any crawl space of any size. Our inspections include looking for wood-damaging insects like termites as well as more obvious forms of crawl space damage. If found, we are able to remove any animals we find living in your crawl space. Some of the most common culprits in the Beaverton area include raccoons and opossums. Our crawl space technicians will complete a thorough crawl space inspection and let you know exactly what they find. We offer affordable crawl space repair estimates in writing before any restoration work begins. No matter the damage, The Killers Crawl Space Restoration can get it back in shape. We will reconstruct damaged areas, replacing wood that is corroded and too far gone. That includes removing areas damaged from animal feces and where urine has soaked into materials. We handle all levels of pest control as well. When your crawl space damage repair in Beaverton is complete, the air flow and moisture levels will all be at healthy levels to ensure the space is clean and doing its job. Contact The Killers Crawl Space Restoration for your crawl space damage repair in Beaverton. Why does The Killers Crawl Space Restoration like serving Beaverton so much? What’s not to like? There is the pull of major businesses like Nike and Tektronix, yet Beaverton still has a hometown feel. From the fervor for the Beaverton High School football team to the city’s Diversity, Equity, and Inclusion Plan, there is much to appreciate about Beaverton!